Last week, I received a Sleep Wellness Bundle from Brentwood Home, a business that has been in operation for over 30 years in Los Angeles that employs local artisans and fabricators to create high-quality mattresses and home essentials using healthy and ethically-sourced materials. I love the company’s commitment to quality and that the products are made right here in the U.S.A.! Brentwood Home provides products to you, direct from their factory so you don’t pay high costs to a middleman. And, since they are online, you’re able to shop anytime you want to. If that means while road tripping and stuck in traffic (yep, that would be me), after you put the kids to bed for the night, or in between back-to-back meetings at the office, the Brentwood Home virtual store is open and ready for business, able to deliver luxurious, handcrafted products to your home quickly. From the time, I placed my order to delivery of my hand-crafted pillows at my doorstep, it took less than a week. Not bad for items that made their way to Ohio from the West Coast! I was excited for their arrival and apparently, so were my kids who tried to claim them as their own. Lucky for me, I was working at home when FedEx delivered my packages. I was a good mom and allowed them to try out the pillows while they were watching TV. They weren’t too happy about giving them back. That means they’re great pillows, right? I think so, but my family is split on what they think. I’ll tell you why so keep reading. 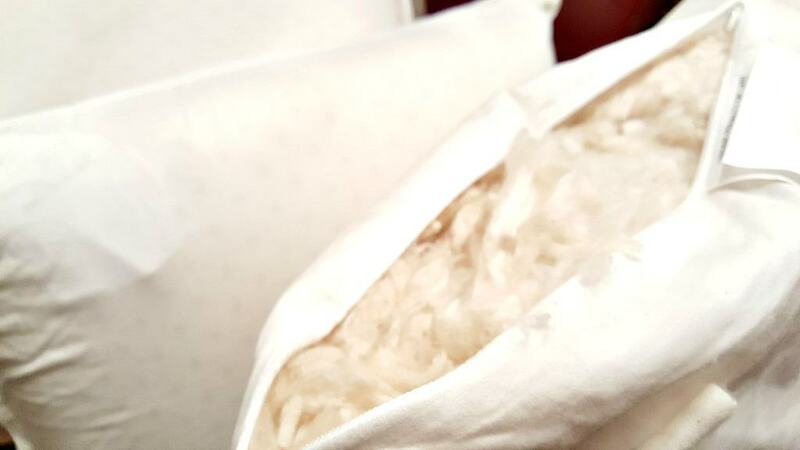 The Latex/Kapok pillows are soft, smooth and fluffy. If you’re like me, you may be wondering what Kapok is. Today is your lucky day because I looked it up. Kapok is a large tree that grows in tropical climates. The seed pods of the tree are filled with luxurious fibers that provide a renewable resource that helps support the people that live in that region. The Kapok fiber is non-toxic and hypoallergenic, providing an alternative to those allergic to down or suffering from other allergies. Kapok fiber is also moisture resistant and deters mold and dust mites. Now for my honest opinion. This is a great pillow. It’s soft and kind of squishy. It has a white cotton cover unzips so if you want to remove some of the Kapok, or simply see what it looks like, you can. It fluffs back up easily and doesn’t really flatten when you’re sleeping with it. I am one of those people that toss and turn and switch between multiple sleeping positions and I’ve found the pillow to be comfortable and as an added bonus, I seem to be sleeping better at night. That said, personally, I prefer the Carmel because it’s a firmer pillow. My husband, on the other hand, prefers the Helena pillow because he isn’t a fan of firm pillows. Good thing we have options, right? You know we don’t fight over pillows here at my house. I also received the Carmel, latex molded pillow. My favorite. I may never sleep on anything else ever again. Now for my honest opinion. Again. I really like this pillow. I mean, I REALLY like this pillow. It’s firm, but not stiff, providing the perfect amount of support. And I’ve discovered that I only need one pillow, not two that I used to sleep with (and I wondered why I’d wake up with a sore neck). I’ve only been using it for a week, but it seems to hold it’s shape well, which is another plus because on the rare days when I do make my bed, I want my pillows to look pretty. Final verdict: The pillows do cost more than what I normally pay for pillows. However, the pillows I usually purchase aren’t made with healthy materials, handcrafted with excellence, and adhere to the California standards of environmental policies and ethics which will eventually make its way across the country. Brentwood Home uses organic, nontoxic, and natural materials with no chemical retardants, phthalates, ozone depleters, or heavy metals. 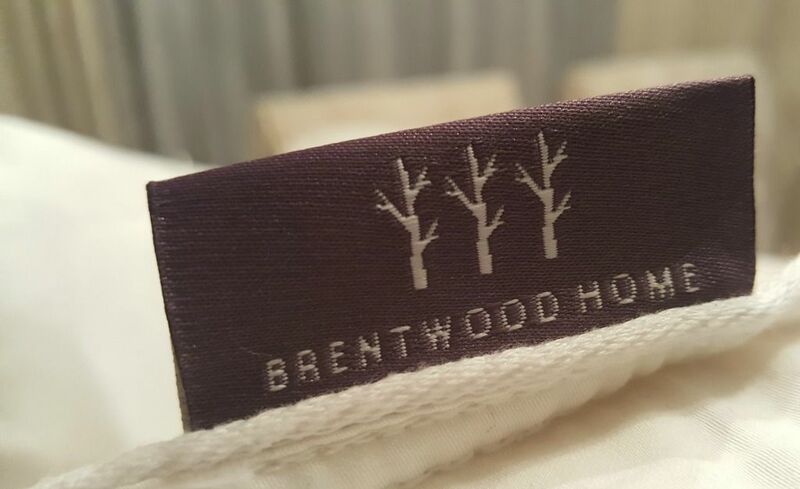 If it’s important to you to know what you’re sleeping on (and it should be), check out Brentwood Home. In addition to pillows, they also offer mattresses that ship FREE, come with a 120-night sleep guarantee AND offer a 25-year warranty. I don’t know about you, but the last mattress I bought certainly didn’t last that long. My husband and I have plans to be nomadic within the next year, so I’m hoping one of the Brentwood Home mattresses will fit in our RV when we get one. After all, sleep is kind of a big deal. Brentwood Home also has children’s bedding and pet beds available. I would love one of the beds for my dog. I have a special offer from Brentwood Home for you. Just click here for a coupon to save 10% off the entire site. Now, for a giveaway. 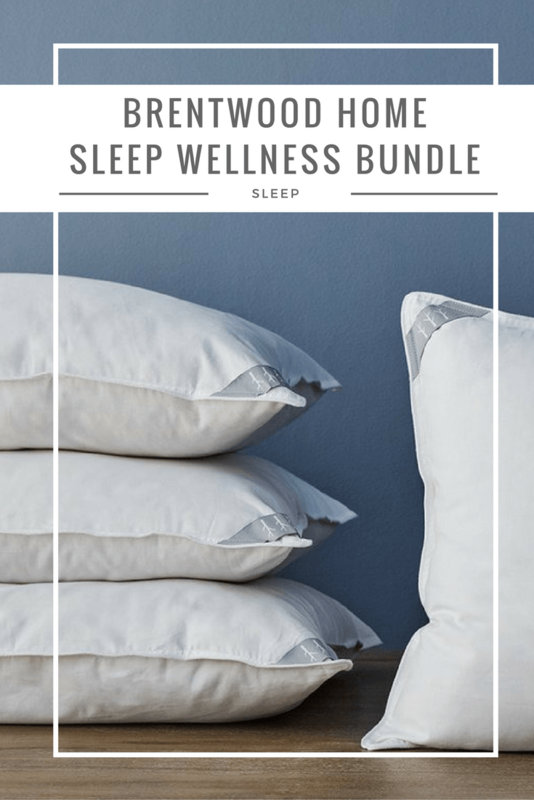 I’ve teamed up with the folks at Brentwood Home to offer this generous Sleep Wellness Bundle, valued at $276, to one of my readers. This is an amazing giveaway! If you’d like to enter for a chance to win, follow the easy Rafflecopter directions on the widget. Disclosure: I received the Brentwood Home Sleep Wellness Bundle to facilitate this post. This post also contains affiliate links. I have been getting neck pain lately and I think it is from my pillow. I would like to try a new one! I want one of these pillows as they look and sound great and would be so much more comfortable than my flat pillows. I could really use one of these pillows! I have such trouble sleeping. From falling to sleeping, or waking up a bunch of times during the night. This would be wonderful to win! I want one of these pillows because I have bad neck problems that are helped by a good pillow. I want one because I need new pillows — AND there are no synthetic materials in them. I love soft, yet firm, pillows and it sounds like these might just fit that bill! I want one of these pillows because I heard nothing but great reviews about them. I want these pillows because they look so comfy. I would love to win these because our pillows are old and we complain often about not sleeping well at night because of them. I believe these pillows will be very comfortable and made of The highest quality materials. My husband squishes his and mine need replacing. I would like them for my kids so they have a real nice pillow to use.They have flat pillows right now. Time for me to buy some more. I want one of these pillows because they seem to be very high quality and good pillows are so hard to find! I would love to bestow one of these pillows on my darling husband. His neck is always bothering him from sleeping. A great pillow makes all the difference in bed! Hoping I win! I’m a pillow junkie; I need to win! I want one of the pillows because I need a new pillow and it would help me get a better night’s sleep especially around the holidays, that is important! I have problems with my cervical spine. I hope a new pillow helps! I used to think pillows last forever but not so much anymore. Would love to try these! I AM A CRAZY, RESTLESS SLEEPER SO THIS WOULD HELP ME TO RELAX. Nothing like traveling to drive home the point that pillows make a huge difference on sleep. I’ve taken to traveling with my favorite pillow, just so I know for sure I can get comfortable. And I really like a good molded pillow. Would love to try their Carmel pillow out. Also love the idea of natural materials. Thanks for sharing your experiences!! Oh I would love to win these pillows for our family! My new years resolution last year was to learn to cook healthier for our family and I have been learning so much. For the new year…its going to be to switch over to healthier products! This would be a great start! I love how healthy these are to lay your heads on at night and 100% organic cotton!!! I like fluffy pillows. After time they need replaced. I’d love to splurge on a really good kapok fluffy pillow! This would be awesome! Thanks for making this available! I would like one of these pillows because i am a restless sleeper and I tend to get a sore neck from it and I think one of these pillows would help. My sweet husband has such a hard time sleeping and I’ve been reading that something as simple as a good pillow may help. Perfect timing! Thank you for sharing! These pillows are organic and made of non-irritating synthetic materials. They appear to be high quality. I absolutely love that they’re made right here in the USA. 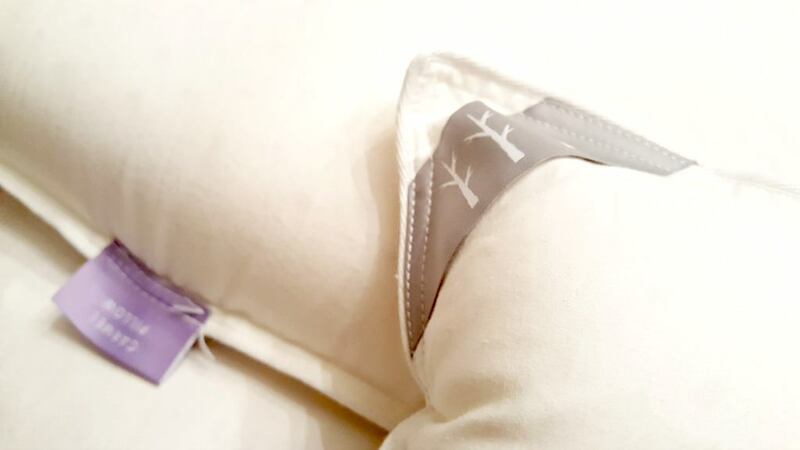 The Alisa feathered gel pillow sounds amazing–I think it would meet all my needs! I want to win these because I need a new pillow. 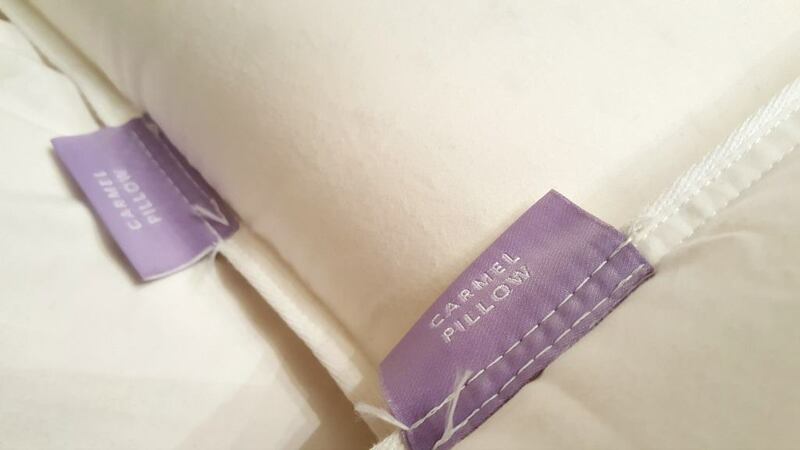 I love the sound of the Carmel Latex Molded pillow….sounds perfect. I”m sick of my flat pillows. I heard that if you aren’t getting a good night’s sleep you should try a new pillow! I’d love to get a good night’s sleep! I think having comfortable pillows and a good mattress is important for sleep. Would love to try out these pillows, they do look comfy! I think my husband and I would be the same as you guys! I struggle with neck problems and do switch positions when I sleep so like a bit firmer. My husband likes to sleep on his stomach with a really squishy pillow. I need a new pillow so this is a great recommendation! Always on the hunt for great pillows. Thanks for sharing. What a great post! I want to win these lovely pillows! Can you add tweet to win contest entry in your rafflecopter! I will visit daily to tweet and spread the word! Thanks for a great contest, Brentwood has some amazing products and I really love their brand.